The Century Club of Scranton – An organization built on a commitment to our members, our history, and our community. The Century Club of Scranton is an organization built upon a commitment to our members, our history, and our community. For over 100 years, we’ve provided a place for people to come together and discover compelling ideas, develop exciting talents, and cultivate positive relationships. 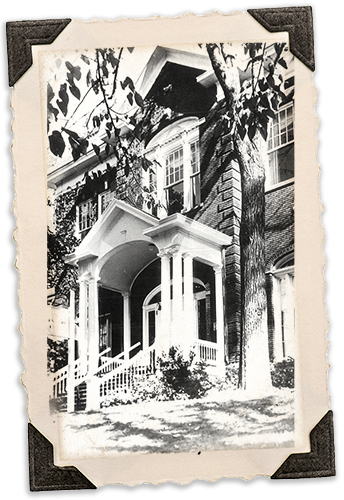 The Century Club of Scranton is dedicated to the development of the historic, cultural, economic and natural resources of Northeastern Pennsylvania through the preservation, education, and promotion of our local heritage. Being a member of The Century Club of Scranton comes with a lot of perks. Activities include educational and cultural programs in music, art, literature, drama, dance, current events, history and environment. In addition to promoting several charitable organizations, we host a number of parties, luncheons and weekly events. We have seven unique rooms accommodating groups of all sizes. Beautifully kept lounges, well-appointed dining rooms, a vintage sunroom, and a huge auditorium – all a perfect fit for your reception, luncheon, bridal shower, conference, or any other event. The Century Club of Scranton is honored to have been placed on the National Register of Historic Places. But for all of it’s magnificent grandeur, The Century Club is more than just mortar and stone. This building represents the people of Scranton and their passion for community service and enrichment of the past 100 years.